The Global CX Panel » You Need to Know the TRUTH About Customer Empathy! We toss the word empathy around these days, especially in customer experience circles. And while most of us agree it’s vital to have and show empathy with customers, many rarely go beyond that in really capturing the touchpoints to understand emotions. The best customer-centric organizations leverage customer empathy to create a more positive journey for all customers. Customer journey maps should highlight where empathy is critical to the emotional path your customers take with your brand. Many maps highlight the big ways of delight and disappointment. But, customers interact in big ways and small with your brand. Don’t reserve empathy for one set of customers or only the big touchpoints. We show customers empathy when we really appreciate what they are experiencing. Here’s my recommendation for how to show empathy for your customers. Step into their shoes in their real lives. 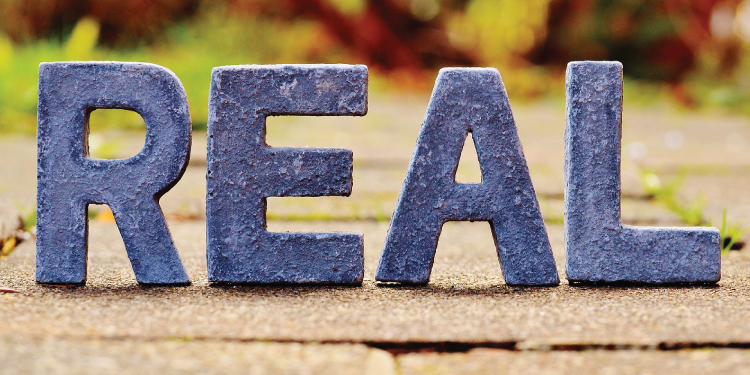 Don’t be afraid to get real when documenting customer emotions. It’s one thing to be slightly disappointed. It’s another thing to be full-blown frustrated as a customer. Empathy means acknowledging the experience AND emotion of a customer. So journey maps that reflect touchpoints as only big interactions like “pay at the cash register” miss ways to show real customer empathy. That interaction is one of many steps for the customer. Each touchpoint leads to an emotion. Help everyone have empathy for the customer by documenting those emotions on your journey map. What if they can’t find it? How does that make someone feel? Is there a long line or confusion about where to even line up? What if the customer doesn’t receive the sale price as promised? And on and on and on…we must ask lots of questions and look for the places where negative and positive emotions are likely to occur. Positive emotions are great. It’s easy to pat ourselves on the back over something we know our customers like. “Our customers LOVE our loyalty program.” The loyalty program is represented as one solid and positive touchpoint on the journey map, and we move on to the more challenging ones. Think of the benefits and opportunities if we ask those questions! What do they love about the program? How does it make them feel? They might love the way the program works, except when it doesn’t. Customers feel incredibly disappointed – or even mistreated – when the program doesn’t work for them. Customers who are highly loyal have more emotionally invested in the relationship. Customer empathy helps you identify those critical relationship touchpoints for loyal customers, and how to create even more delight around them. Why does it matter to really identify these touchpoints and understand the emotional outcomes for customers? Because real empathy with your customers leads to better business results. “Fully connected” customers are 52% more valuable than those who are “highly satisfied,” according to Harvard Business Review research. Empathy matters, and it’s not just about the big interactions around channels with your customers. Emotions drive customer decisions, so taking care of them is the most important job you have! Want to learn a TON more about Customer Empathy? Then claim your 20% discount and join us in Austin this October! 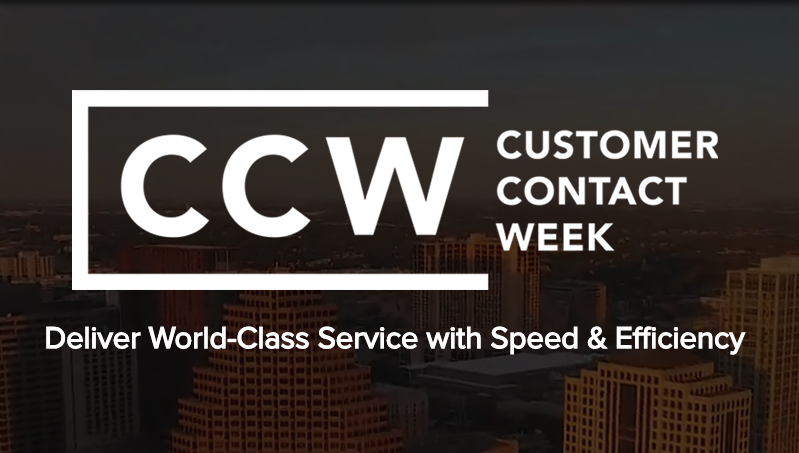 Part conference and part expo, Customer Contact Week (CCW) is the largest customer contact event series in the world! Join 400+ Customer Experience and Contact Center executives and 75+ Speakers, including leaders from Haliburton, the NBA, Microsoft, Dow Jones, StubHub, and many more. But it gets better… Just for our community, use Jeannie’s discount code below to receive 20% off! 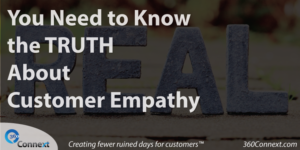 The post You Need to Know the TRUTH About Customer Empathy! appeared first on Customer Experience Consulting.